Treasurer Scott Morrison announced last December that the ATO plans to disclose tax debt information to credit reporting bureaus from 1 July 2017. The ATO will disclose to credit bureaus the tax debt information of businesses who have not effectively engaged with the ATO to manage their taxation debts. It is anticipated that initially this will only apply to businesses with tax debt of more than $10,000 and being at least 90 days overdue. 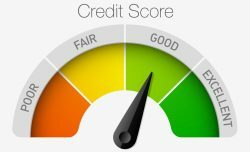 Keep in mind that a mark on your credit file will usually last 5 years, and is very difficult to get removed even after you have paid the debt. Just be aware that this now exists, and feel free to contact us if you require any assistance in managing your tax affairs!